A retired paediatric nurse, Sally Sweeney Carroll, was asked by a hospital play therapist to help transport a local family in distress for daily therapy at Wythenshawe Hospital. With the help of her own family, Sally provided the transport which successfully supported the family. This prevented the two young children from being taken into care. Sally then had another request to help transport a different family, and so the voluntary transport scheme was born. Initially the scheme was run and organised by a team of volunteers as part of the local branch of the charity the National Association for the Welfare of Children in Hospital, now known as Action for Sick Children. Greater Manchester Passenger Transport Executive (GMPTE) provided funding, through its Accessible Transport budget, for the first, part-time, paid Transport Organiser for the scheme. with Sarah Drake , first paid transport organiser. The GMPTE funding enabled the scheme to expand. 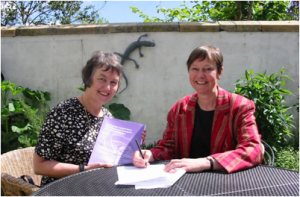 Eventually it became a registered charity in its own right with trustees from across the Greater Manchester area. They spent many hours negotiating with hospitals, persuading them to support the scheme financially. 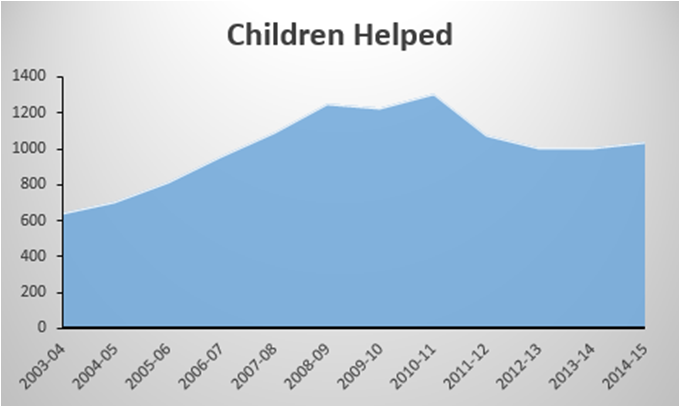 The charity’s carefully maintained statistics relating to the families transported, provided clear evidence of its benefits to the NHS, in terms of appointments kept, as well as to the families. New negotiations between the trustees and NHS managers eventually led to each of the 10 PCTs in Greater Manchester providing financial support for the scheme. By now it had 3 staff members and operated from an office rather than the organiser’s home. 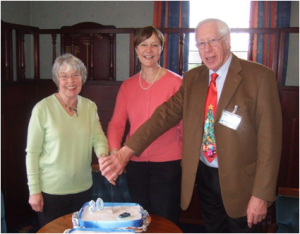 The charity celebrated its 30th Anniversary, photographed with the one of the cakes is Treasurer John Adams with trustees Pat Brunt and Sarah Drake. Sarah Drake was awarded the League of Mercy Merit Award. Photographed here with Treasurer John Adams. This led to a new round of financial negotiations. Throughout the many changes to the NHS, Transport for Sick Children has, through the generosity of its volunteer drivers, maintained its initial, simple task: helping children to access essential healthcare. 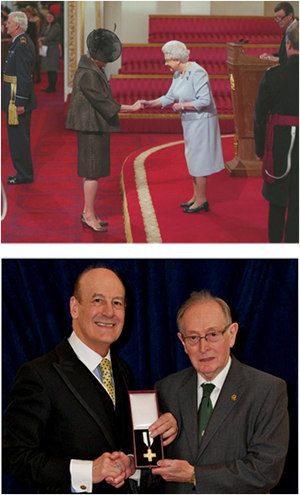 Two of the charity’s supporters were recognised this year in the UK honours system. 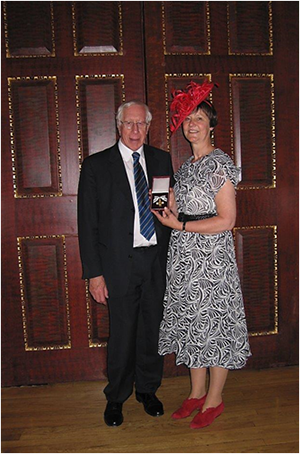 John Sagar - Chairman of Transport for Sick Children was awarded League of Mercy Merit Award by the Order of Mercy. The charity has benefited immeasurably from their contribution.